Food & Wine ’13 “Scouting Report”! 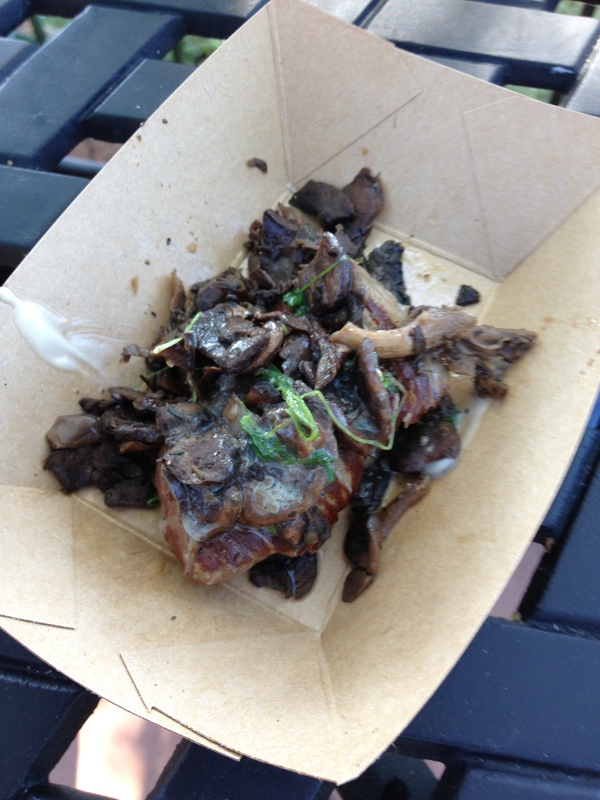 | It's "All in WDW"
Food & Wine ’13 “Scouting Report”! Good morning, my friends! So, what do we know about this year’s installment of the “king of all food festivals”? Well, right from the earliest reports, we were told that Hawaii’s delicious Kalua Pork Sliders would make their triumphant return. The “champ” is in da’ house! On the other hand, we were left to wonder – until just last week – whether or not we would be able to dine on Le Cellier’s signature filet mignon. As it turns out, both Hawaii and Canada are bringing their “A” games! Hey, assigning the ‘Top 2’ spots in this year’s “Much Too Preliminary” Pre-Festival Top 25 is going to be VERY easy! Let’s take a quick step back to review. The best place to start any journey is to study a “road map”, eh? Crowned by the aforementioned examples of culinary delight, here is a summary recap of the All in WDW 2012 Epcot International Food & Wine Festival Final Top 25! “Highly Recommended” and “Recommended” speak for themselves. “Just OK” is worth a try. Hey, who knows? If it’s back in 2013, you might like it much better than I did. “Nope!” means that this item is ‘outa here’! It won’t make the All in WDW 2013 Pre-Festival list, Chef, so don’t bother bringing it back! Finally, “How did these get on the ‘Top 25’ list” are the ‘bottom-feeders’. We snuck in three extra tastings last year, and these were the three items that weren’t good enough to crack the Final Top 25. How did these get on the “Top 25” list? Needless to say, it is a fact that this year’s pre-festival list will start with the pork sliders at #1 and the filet at #2. 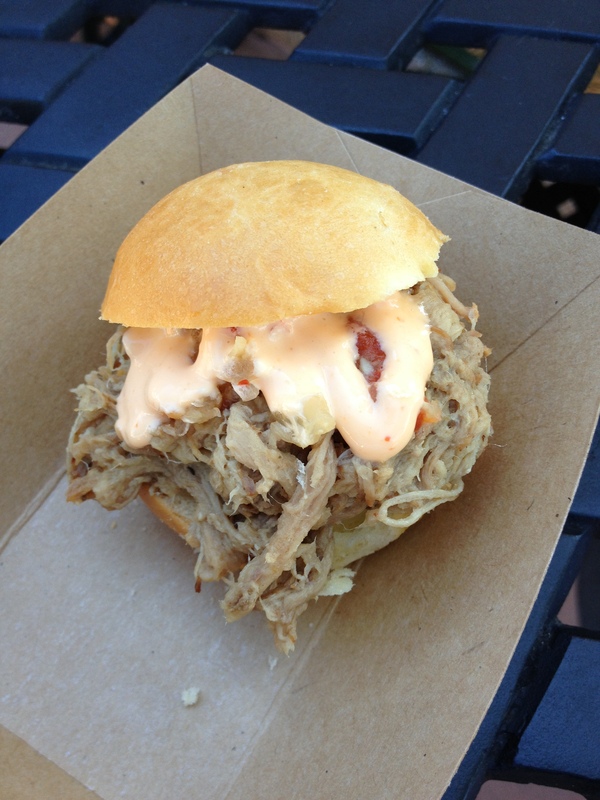 I am a firm believer in “you have to beat the champ in order to be the champ”, and, in All in WDW’s view, Hawaii’s Kalua Pork Sliders are Food & Wine’s two-time champ! It was an “oh so close” and excruciatingly tough decision last year, but if Canada’s outstanding filet couldn’t knock the crown off those tasty meat-filled buns, I don’t know that anything can. Having said this, where does Scotland’s salmon fit in? After all, it’s a brand new ‘party-crasher’. In 2011, Canada’s Glazed Salmon finished at #8 on my final list. Brazil’s Seared Mahi-Mahi finished at #4. In 2012, Singapore’s Seared Mahi-Mahi also finished at #8. I’m going to have to tentatively slot Scotland’s “yet-to-be-tasted” offering in at about the same place – somewhere around #8. Of course, it is ridiculous to assign a slot at this point. We haven’t even seen the whole menu yet! Suffice it to say, however, that the salmon will, at best, be set at #3 – behind those yummy sliders and that succulent filet. Tomorrow? We know that Brazil is ba-a-a-ack! What new morsels do our friends from South America, as well as Florida Local, have to offer us this year? Where will they fit into 2013’s Pre-Festival Top 25? Stop back on Monday to see! ← Food & Wine ’13 “Scouting Report”!